All bargain sites nowadays have a catch, don’t they? They either feature only one deal a day or require you to become a member. Even worse is trying to find a bargain site for women’s needs—for women’s clothing if you’re over 25 or for home and garden needs. Enter BargainJill.com—your one-stop shop for all women's discounts. Founder Dustin DeVries, creator of guy-centric discount site BargainJack.com, created Bargain Jill a few years ago to cater to the needs of women hoping for a fabulous home and wardrobe without breaking bank. Bargain Jill is a one-of-a-kind website that compiles deals and coupons from across the web on brand-name items tailored specifically towards women--items like women's apparel and accessories deals, home and garden deals, and children’s deals. With Bargain Jill, ladies don’t have to subscribe to dozens of websites to find the deals and coupons they want for all of the things they need. Instead, Bargain Jill is a one-stop-shop for women searching for the best deals on the Internet for items they love and trust. Through Bargain Jill and its newsletter and social media activities, we've been able to find and broadcast deals at more than 50% to 75% off their street prices—deals on brand-name items from Home Depot, Banana Republic, and Babies R Us. 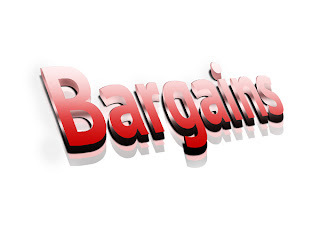 Best of all, Bargain Jill has a partner website, Bargain Jack, for any discounts for the men in your life. Ladies, cancel your subscriptions from those dozen bargain sites and add one designed just for you—BargainJIll.com.